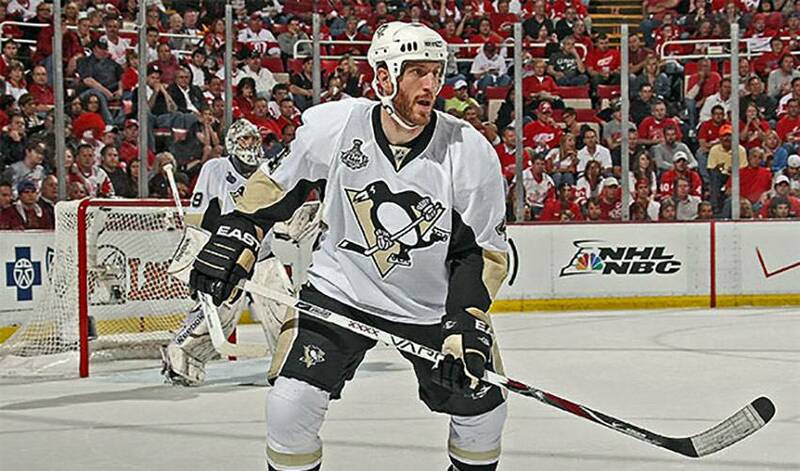 Rob Scuderi isn’t looking to change anything about his game in his return to Pittsburgh. That’s a very good thing. Shortly after winning the Stanley Cup with the Penguins in 2009, Scuderi, one of hockey’s most reliable shutdown defencemen, hit the free agency market with plenty of suitors lining up for his services. It was the Los Angeles Kings who provided the perfect fit for the New York native, as Scuderi inked a four-year contract with the Western Conference club. After four campaigns, including three consecutive seasons of appearing in every game, Scuderi, who won another Cup in 2012, is back on familiar ice. And while there have been new arrivals and some departures to the Pittsburgh lineup in his time away from the club, Scuderi, who was drafted 134th overall by the Penguins in 1998, isn’t worried about fitting in. Although he didn’t face the Penguins a great deal during his tenure with the Kings, there was one thing in particular that struck Scuderi when the teams met. Scuderi will help anchor an impressive defensive corps that features Kris Letang, Brooks Orpik, Paul Martin and Matt Niskanen. “My main objective is to just to be myself and bring a consistency to every game,” noted the Boston college alumnus. Does that mean no end-to-end rushes? While his style isn’t flashy, Scuderi’s stay-at-home style will no doubt be a valuable commodity for a Pittsburgh team eager to erase the memories of a four-game sweep to the Boston Bruins in the 2012-13 Eastern Conference finals. Having the first Long Island native to have his name etched on the Stanley Cup will certainly aid their chances.